Best Alaska Cruise For Kids - Top 5 Choices! Best Alaska Cruise For Kids – Top 5 Choices! If you are thinking about a cruise but are wary of bringing the kids along, you need not worry, the best Alaska cruise for kids is just waiting for you to board. With activities, special events, age-specific groups, kid friendly food and much more, cruising with the whole family means that everyone has tons of fun and plenty to do. Here are the top five best Alaska cruise choices for families with children. 1. You can never go wrong with anything Disney, and a Disney Alaska cruise is certainly no exception. They offer kids’ clubs, restaurants, characters and live shows that the kids will love since they are seeing all of their favourite movies come to life right before their eyes. Enjoy all that is Disney on your floating adventure. 2. Royal Caribbean offers the Adventure Ocean Youth Program for its young guests, aged 3 and up. This club is complimentary and allows the kids to learn about the areas that they are sailing through, the local customs of the natives and participate in science experiments centered on sailing and nature. With Alaska cruises from Seattle and several other ports, you can find a sailing that fits in with your schedule, while allowing the kids a chance to learn and explore while having fun. 3. Carnival cruise lines offer a Camp Carnival program for youngsters aged 2-15 years. It is offered year-round on all of its sailings and features tons of activities like dance parties, talent shows, games, movies, crafts, and much more to keep the kids busy and happy while allowing mom and dad some downtime. This makes the best Alaska cruise for kids list as it is all encompassing, from kid’s menus, to stroller rentals and everything you can think of in-between. 4. If your kids are a little older and want to explore alone, Holland America has you covered. With Alaska cruises from Vancouver, as well as other ports, your teenager can take ‘kids only’ tours on shore that are fully chaperoned. Holland America also do kids’ activities on board and have diapers, formula and other baby items to buy, to keep packing simple. 5. Norwegian Cruise Lines have specially trained staff on board to take care of children with special needs, giving parents some much deserved respite while on the cruise. The kid’s programs are for children aged 2-17 and are divided into four age groups, all with age appropriate activities and family friendly food. 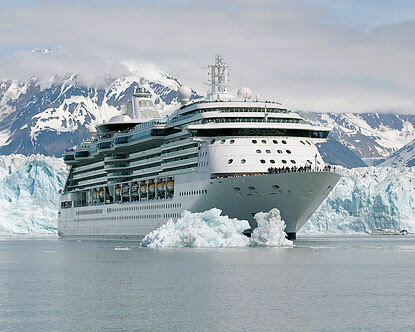 It is always a good idea to check with your travel agent regarding the best time to cruise to Alaska so that you know if the kid’s clubs will be active when you go. Some ships offer kid’s clubs on all sailings and some only when there are enough children booked on the ship. Finding the best Alaska cruise for your family will make your vacation that much more enjoyable and ensure a great trip for all.